Step 1: You should throw your mason jars and lids through a washing machine before you start or just wash them with soap and hot water. When finished, place the jars and lids in separate pots of water and set that to high heat. You basically want to boil the jars to get rid of any bacteria. 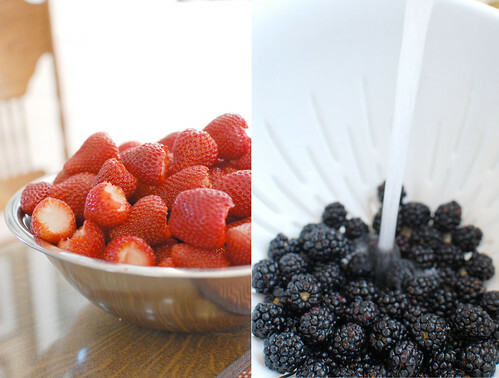 Step 2: After rinsing the strawberries with water, scoop out the leafy and white tops using a strawberry huller. You can always use a knife but you save more of the strawberry if you use a huller. Step 3: One cup at a time, mash the strawberries in a large bowl using a potato masher. The level of mashed-ness is totes up to you. You will eventually create 5 cups of this. Pour the contents into a 6-8 quart sauce pot. Stir in one box of Sure-Jell pectin and set heat to high. You want to continue to stir the strawberries until it comes to a roaring boil (a boil that doesn't stop bubbling when you stir). Step 4: Stir in 7 cups of white sugar and bring back to a boil for 1 minute and then remove form heat. Skim off any foam that has collected on the top. This will ensure you get a clear, pretty jam! WARNING- The strawberry foam is amazing and tastes like taffy and is fun to eat off your finger! Step 5: Remember those jars and lids that were set to a boil? 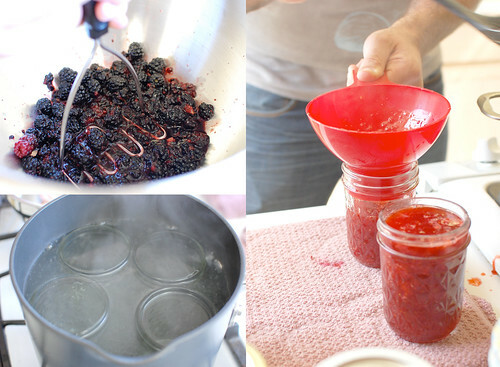 Take the jars out using the jar lifter and immediately ladle the strawberries into them using a jam funnel. You want to fill it within 1/8 of an inch from the top. Note that this process is messy and you might get burned. Next, wipe the jar rims and threads using a cloth or paper towel. Using tongs, put the flat lid (that has also been boiled) over the jar and screw the bands on tightly. Once tight and still hot, put them back in the boiling water bath for another 10 minutes. Step 6: After 10 minutes remove the jars and place them on a damp towel to try. After about 20 minutes or so, the lids should "Pop" and seal. If they do not pop, it didn't work and you will just have to refrigerate it. The ones that pop should be ready for the pantry! 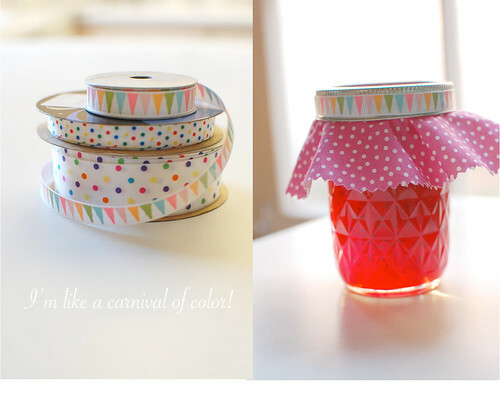 Step 7: As your jars are cooling, you can prep the toppers by getting fabric of your choice and cutting out circles. I used a tea cup saucer to trace my circles and a pair of pinking sheers to cut them out. I also used 3/8" ribbon and hot glued them to the rims once they cooled. Once finished, you should take some time to admire your hard work because they will be extremely cute, especially if you've never jammed before. When they're all dressed up, they look like little whirling dervishes! The app has a basic version behance.net which is complimentary and also a pro variation for Website only.EasyTouch: With Quick Faster way Manufacturer choice, QuickShortcutMaker Download for PC | Install QuickShortcutMaker Apk on Android you will have the ability to quickshortcutmaker conveniently arrangement and develop faster quick shortcut maker ways of the apps and functions. Hey, it's still Summer right?